Home » Crafts, Sewing, & Home Decor » Sewing » My very own cousin and HIS GIVEAWAY!! My very own cousin and HIS GIVEAWAY!! Have you noticed my newest sponsor Anne Pearson Photography found here? Get ready to be amazed at some stunning photography capturing your favorite memories and occasions. Her images are seriously breathtaking. Anne is based out of Utah but is very willing to travel if interested. Contact her for more details. And hurry on over to her site for a giveaway of her very own. What luck! Looking for the She Wears Flowers giveaway? Scroll down or click here. I have this cousin named Brad. And he has such a clever brain. Well, he has entered a product design contest and submitted the coolest product. Once you watch this video, you are sure to want your very own. Didn’t you just want to eat up his sweet kiddos? What a fun way to not only build, stack, and construct…….but what a great visual and tangible concept for little ones to understand counting, grouping, multiplication, patterns, and more. Don’t you want a set of your very own……..and 2 other sets to gift away? Well, Brad is a finalist for a contest and whoever wins the most votes on facebook, wins a trip to meet the retailer about selling their product. How cool is that? Brad would love to give away a set of his Brainy Blocks but he only has his one prototype for now……so he is giving away something just as great. 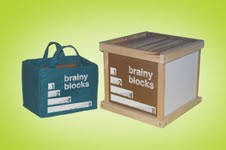 **This giveaway is available for anyone who votes “like” for the Brainy Blocks over on facebook here. But Brad has decided to give away something else, just for the those who participate over here on Make It and Love It. 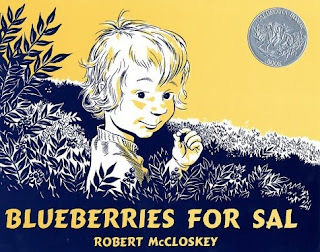 Have you ever read this book, Blueberries for Sal? Well Brad has hand drawn a 16″ x 20″ ink on canvas image from this book. Check out those perfect details of little Sal from the book. Love her. The winner will receive this large canvas through the mail, right to their very home. I could think of several spots in my home where this would look just perfect. Okay, and a big whoppin’ 5 more entries? And wow Brad, I sure hope you win and are able to market this product. I, along with many, want our very own set of Brainy Blocks. Brainy Blocks to win Wahoo! I told facebook I definatly 'like' them! Oh and now I told my friends and they 'like' them too!! Wahoo! i voted for the brainy blocks on facebook. I like Brad and I like Brainy Blocks, so I told those people at facebook. Those are our favorite thing to play with at there house, besides Jane and Grey. can I just say there is something similar(not same) that we used homeschooling 20 years ago? Cuisenaire rods. There are also books and materials for learning wth them…… great idea. I like Brainy Blocks, both on facebook and in real life. I posted about it on FB. And I voted on FB. This is such a great idea. LOVE Brainy Blocks! My boys love architecture so these are right up their alley. Became a fan on Facebook! That wasn't a hard decision at all! I LIKE IT For SURE! I "liked" them on fb…and love them in real life! I am a fan of Uncommon Goods and I "like" the blocks. they are very cool I would love to get my hands on those when they become available. And I hope he wins. My kids would love those blocks! I am a fan and I LOVE LOVE LOVE this book!!!! I know Brad! My sister, Kelsey, was really good friends with him at BYU. We're in the same stake now. My MIL is G's nursery leader at church. Small world. Go Brad! I love the brainy blocks! Awesome idea. I love the cute video too! I voted for him! What an awesome set of blocks!! Its about time something came out that was more durable and educational. I wish him the best of luck! I hope he wins!!! Just became of fan of uncommon goods and clicked "like" – contest aside I really hope he wins! I want a fabulous set of these blocks for my kiddos. We home school and these would just be too perfect for it! I would definitely buy these! I want these blocks…I became a fan on Facebook and "Liked" them. I'm telling all my friends…not necessarily to win the prize (which I would still LOVE), but because I want him to win so I'll have the opportunity to buy these blocks for my kids. My husband is going to love this. I posted about this on my blog. I "liked" Brainy blocks, and became a fan! I became a fan of Uncommon Goods, and I clicked "like" and commented on brainy blocks. I posted about this contest to my facebook status. I'm an interpreter for the Deaf in an elementary school! I would love these for a visual lesson! I love the brainy blocks and indicated this on FB. My name is Sally and I was given a copy of "Blueberries for Sal" as a child. It is a special book for me and my family. My 1970's copy is well worn and loved! 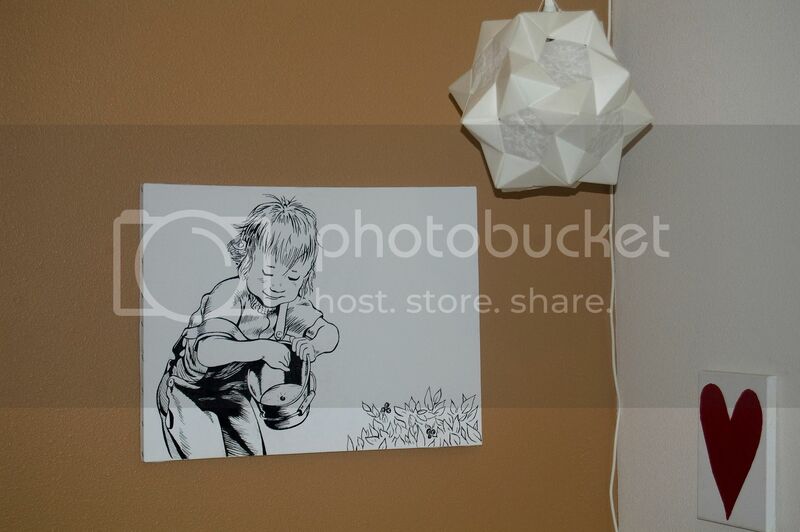 I'd love to be able to share this print with my 3 month old daughter! Brainy Blocks- I really like them. We've been very remiss in our house. I have a 6 year old boy and no blocks. These ones would be perfect. I love the added math concept. That is a great idea my daughter would go crazy over them! I posted this on my facebook! I think it would be perfect for my four year old! Yay for Brainy Blocks! I sure do like them on Facebook! def. liked* on facebook! great idea! 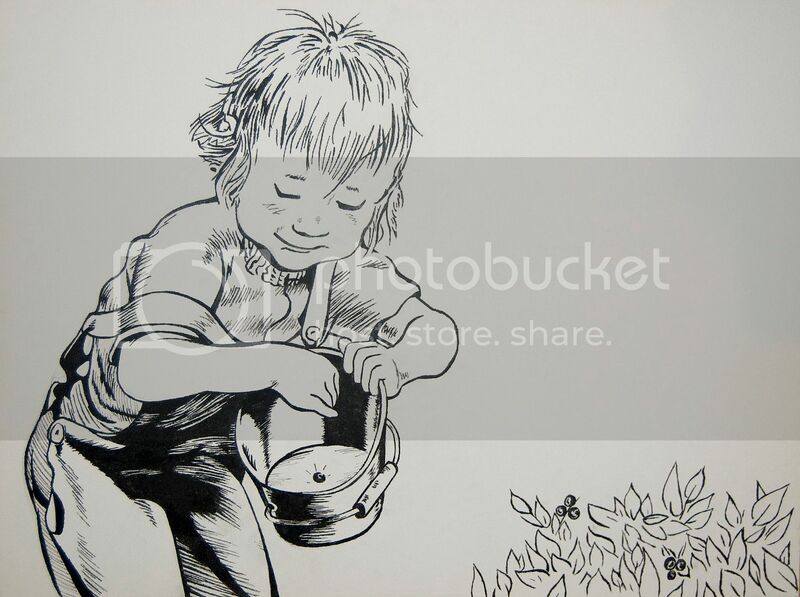 Oh gosh, this is my mom's FAVORITE book … she'd absolutely LOVE LOVE LOVE this drawing (and me for giving it to her!) I became a fan on facebook and "liked" the blocks (which are really cool, by the way). What a clever idea for imparting math skills painlessly! I became a fan and 'liked' them! I posted on my FB about Brainy blocks for my friends who also have children! I 'like' them a lot! What a great idea! I wish there was a "love" button and not just "like". These are a terrific idea. I would love to have a set for my niece and nephew. I love these in real life and like them on FB. I would love a set of these for my classroom. Hope he wins! i have facebooked about this! i have tweeted about this! i "like"d the brainy blocks! I voted "like" and I told a facebook friend who also voted "like". I really hope he wins the contest, I love the product and would buy a set for my kids. I became a fan of Uncommon Goods and ;liked; the Brainy Blocks. Hope he wins. T?hey are a wonderful way to learn. Voted for his great idea! 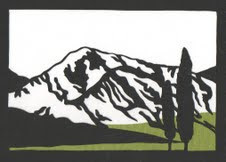 i became a fan of uncommon goods and "liked" it on facebook! what a great idea! I became a fan and clicked on like! 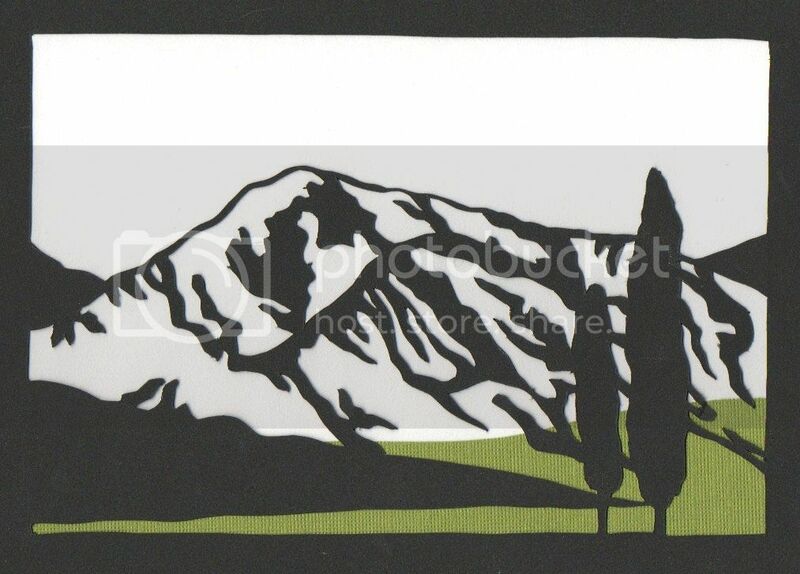 What a great product and I love the canvas!!! I voted on FB–I hope he wins because that's the whole reason I voted ;-). Let us know when he makes these into a product. My boys would love these! these brainy blocks are so cool. I became a fan on fb and if they are ever sold would totally buy them! I voted on facebook! Good luck Brad! Became a fan and hit "like" on facebook. And I wish there was a "LOVE IT!!" button because I would have hit that one! I really want a set! Those blocks are so clever! Know the exact kid I would like a set of these blocks for!!! I "liked" on fb. I hope your cousin wins – those blocks are awesome!!! I voted on facebook- What a great idea! What a great idea! I voted. Brad's blocks are great fun and a wonderful learning tool. I "liked" them on fb. His "Blueberries for Sal" is a beautiful rendition. That's one of my favorite books, and it's very popular at the library where I volunteer. Tell him "Good Luck" and also thanks for his generous giveaway. I've just put Uncommon Goods as my FB status and commented about Brainy Blocks. Some of my FB Friends are mothers and teachers who will love the idea. I've just told 3 friends on FB about Brad's blocks-they all work with young children. I don't have a blog nor do I twitter! Blueberries For Sale and the Brainy Blocks are both beautiful. I have a great nephew who would love the blocks, so I have a good reason to enter this giveaway. I (and also my library) would love Blueberries for Sal, a beautiful piece of artwork. I voted on FB for the Brainy Blocks. They are fabulous! I became a fan of uncommon good and click like on the brainy blocks! I really do loves those! They are soo smart! love these and would totaly buy them. A very safe and eco friendly toy too. I really like that they help with measurements. The pillows on there were cool. But really we could make those and love them on our own right ladies? I liked these on facebook! They are great! those blocks are great! I fanned on facebook and I liked the pic. wow- it's all so amazing. what a talented cousin. looks like your whole family is talented! :0) i love the blocks, i love the artwork, and i especially love the little girl at the end of the video saying she has to go to the bathroom. ha ha. i "liked" your cousin's blocks on facebook, and i also posted this giveaway as my status on FB. :0) Crossing my fingers!! i hope that he wins, i sure could use these for my son! Those blocks are genius! I'm sure WHEN he gets more sets, you'll be sure and let us know!? LOVE the blueberry canvas, too! My son loves helping his nonny(grandmother) pick blueberries every year on her farm. Hope we win! Those are awesome! They would be so great for homeschooling! Now a Facebook fan! Great idea! I became a fan of Uncommon Goods and 'liked" your cousins blocks! They really are super cute! I also shared the contest on FB and told people to vote for him. Like 'em on facebook and like 'em for real too!